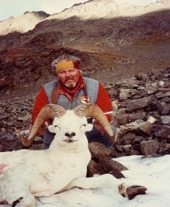 Larry Kelly was a devoted shooter and hunter since his early teens. He was born on the outskirts of Detroit in April 1935. As a youngster, Larry Kelly developed a love of the outdoors and would do everything he could to spend time there. He developed an interest in hunting and firearms and by the time he was 15, was familiar with many of the firearms of the time, their velocities, trajectories and energies. At the age of 16, he began venturing further and further from home hitchhiking to different areas to hunt. His reputation as a hunter spread and soon other hunters were seeking his services. Larry would bring his dogs and guide hunters in exchange for gas, lunch or ammo. He caught his first break when Kelly guided an executive on a hunt. The executive was impressed with Larry Kelly and offered him a job at a plant he managed. Kelly began working at this job lapping out fuel guidance control valves for missiles and soon was promoted to an E.D.M. operator. Kelly soon decided to go into business with two friends and soon Apollo E.D.M. was one of the largest shops of its type in the country. It was during that time that Kelly developed the idea of using the same type of ports used in valves for the Apollo Space project to counteract muzzle jump and recoil in firearms. The trapezoidal ports used in the E.D.M. process became an important part of this Mag-Na-Port process for gun muzzles and Larry would invite outdoor Writers to shoot ported guns. Soon stories began to appear in print and phone started to ring off the hook. He soon sold his interest in Apollo E.D.M. and opened up his first shop that specialized in porting rifles, shotguns and handguns. Larry’s marketing campaign was based on animals Larry himself harvested and customers could realize the benefits of the Mag-Na-Port process on their own hunts. This marketing ideology also allowed Larry to mix business with his passion to hunt and he hunted all over the world. Larry Kelly became the first handgun hunter to harvest the Africa Big 5. He has over 100 record-class trophies with 59 in the top 10 in the SCI record book. Larry Kelly was the founder of the Handgun Hunters Hall of Fame in 1983, he was inducted into Safari Clubs Hall of Fame in 1989. He was also recognized by the North American Hunting Club as a NAHC Living Legend.